If you're an Android fan, the network to be on in the US is clearly T-Mobile. At the Mobile World Congress in Barcelona, Spain, Motorola revealed its eighth Android phone, the Motorola Cliq XT (as it will be known stateside) or Quench (its name everywhere else). 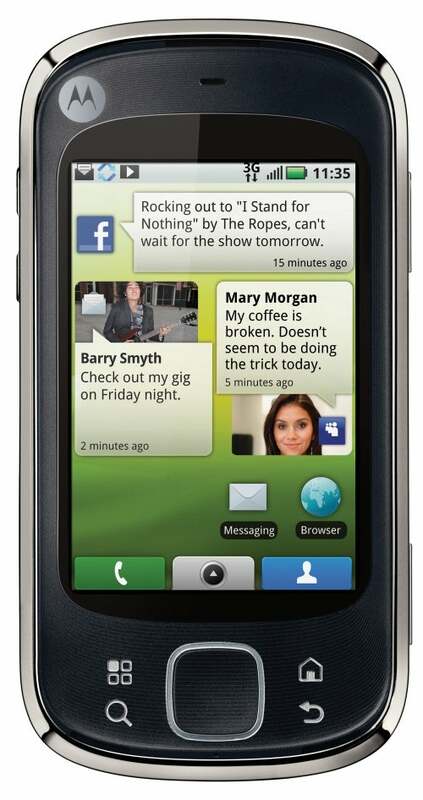 The Cliq XT will land on T-Mobile next month. Pricing hasn't been confirmed. Like the Cliq, Motorola's first Android device in the U.S., the Cliq XT runs Motorola's MotoBlur user interface over Android 1.5. MotoBlur is Motorola's proprietary user interface for Android. Motoblur has some very usual features, including contact syncing across social networks, a unified inbox for your various e-mail accounts, and live widgets for social networking. Another cool feature is the capability to track your phone via assisted GPS if it gets lost. You can wipe it remotely and then all of your information is saved on the MotoBlur's servers. A big difference between the Cliq XT and its sibling is that the XT lacks a physical keyboard. In my review of the Cliq, I praised the design and high level of comfort of the keyboard. A hardware keyboard seems necessary for heavy messagers and social networkers and the native Android touch keyboard is far from perfect. Luckily, the Cliq XT has Swype technology built-in, which lets you type faster and more easily with one continuous finger or stylus motion across the screen keyboard. In my own experience, Swype takes some practice, but is pretty nifty once you get the hang of it. The Cliq XT has a 3.1-inch touchscreen, which is a bit small compared to other smartphones on the market, Flash Lite support, and pinch-and-zoom capabilities in the browser. It also sports a 5-megapixel camera and comes preloaded with all of the Google services you'd expect on an Android phone. Check back for hands-on impressions of the Cliq XT as well as other news and photos from the Mobile World Congress.